Almost two years ago, I started meditating on a whim. I came across an interesting article on how meditation has been scientifically proven to help heal the body. So, I decided to give it a try. Before that, I had tried almost everything to get rid of the eczema that was covering my whole body. And, my doctor wanted to put me on prescription drugs. Of course, I wanted nothing to do with the medication, so I took up meditation instead. Not only did I have a horrible, itchy eczema rash, but I was also suffering from other health concerns. I was very sick, and decided that it couldn’t hurt to try meditation as a form of healing my body. I must admit, I wasn’t totally convinced. And I thought it was even a little crazy to think that it might work. Could Meditation Heal the Body? Fast forward to almost two years later, and I am healthier than I have ever been! All my eczema has cleared up, and I am happier and more focused than ever. I truly believe that it all has something to do with meditation. I am not alone in thinking that meditation can play a major role in becoming healthier and happier. Approximately 18 million Americans regularly meditate. And, the numbers are rising as more people hear about the amazing benefits of mindfulness practice. The health benefits of meditation are varied and have a good amount of research to back them up. Some of the reported benefits include lower blood pressure, increased immune function, reduced inflammation at a cellular level, and memory-boosting capabilities. It could increase your focus and attention, and possibly even decrease depression and stress. The boost in immune function and decrease in inflammation alone could be enough to help the body recover from illness and disease. This is why many people turn to meditation when they are suffering from an illness—myself included. Meditation is quite simply mental hygiene. It clears out the negative thoughts and brings clearer thinking. Think about it. You shower every day to clean your body, but have you ever cleaned your mind? As a result of meditation, your mind could feel clearer, and you may see things with greater perspective. There are many types of meditation and different techniques that you can use. So, being able to continue successfully with it means finding the one that is right for you. You have so many resources at your fingertips to help you in your search, as many web sites explain the various techniques of meditation. But, it all really comes down to quieting and focusing the mind. I personally prefer a guided meditation. This means I listen to a recording of someone guiding me and giving examples of things to focus on or picture as I mindfully breathe. I do find it hard to calm my racing mind, but with some ideas to focus on, it becomes easier over time. The main purpose of meditation is quieting the mind, reducing stress, and finding inner peace and balance. While this may sound a little “hokey” to some, I truly encourage you to give it a try and see how you feel after five minutes. The best way to start meditation is with five-minute sessions for a week, followed by a week of 10-minute sessions. Then, by week three, you should be able to meditate for 20 minutes. Don’t jump into long meditations right away. You will most likely have a hard time keeping focused and may become discouraged. When starting out, try a guided meditation. It helps to focus your mind and calm your breathing. Find a quiet, comfortable spot to sit or lie down, play your guided meditation, and concentrate on your breathing. I find that the easiest way to clear my mind is to focus on breathing in and out. If I am fully focused on my breathing, all my other thoughts tend to drift away. I prefer to practice it sitting comfortably on my couch with my hands resting on my lap. The good thing about meditation is that it doesn’t cost money. You can do it anywhere. And you will always feel better after doing it. Let’s face it. Everyone can take five minutes in their day to try meditation. I highly recommend it if you are suffering from a disease or illness, or if you are just feeling stressed. With the demands of today’s modern life, it can be tricky to find time to meditate. The hectic pace and constant stress often make life feel like there is just not enough time in the day to get everything done. But, if you make time to meditate on a regular basis, you may find that you actually have more time, by making your mind calmer and more focused. “Most Used Mind & Body Practices,” National Center for Complementary and Integrative Health, August 10, 2016; https://nccih.nih.gov/research/statistics/NHIS/2012/mind-body/meditation, last accessed August 23, 2017. Schocker, L., “LOOK: What Meditation Can Do For Your Mind, Body And Spirit,” The Huffington Post, May 16, 2014; http://www.huffingtonpost.ca/entry/meditation-mind-body-spirit_n_5291361. 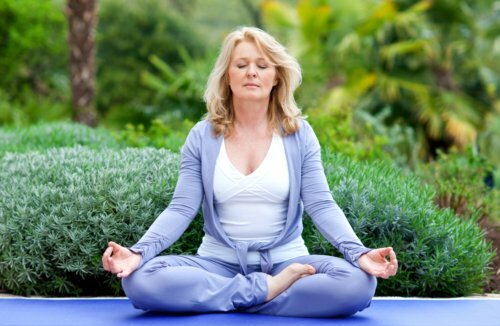 “How to Meditate,” How to Meditate; http://how-to-meditate.org/, last accessed August 24, 2017.